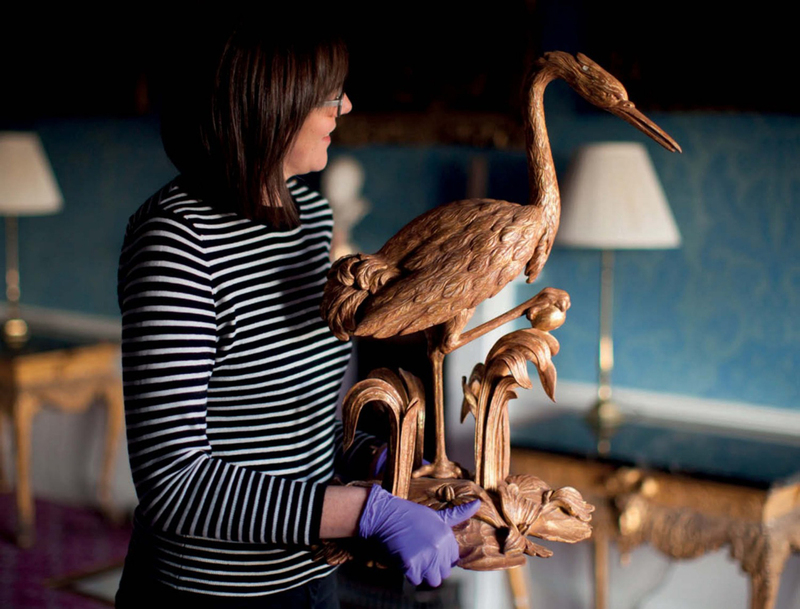 The tercentenary of renowned furniture maker Thomas Chippendale’s birth in Yorkshire this week is the catalyst for activities and exhibitions this year across the UK. Weston Park in Weston-under-Lizard in Shifnal, Shropshire, is hosting a special lecture, tour and Yorkshire afternoon tea with curator Gareth Williams. Sir Henry Bridgeman, who lived at Weston Park in the 1760s, commissioned Chippendale for a number of works. A Chippendale Birthday Bake Off Competition will take place at Paxton House in Berwick-upon-Tweed. Paxton was home to two Chippendale patrons: Patrick Home (1728-1808) and Ninian Home (1732-95). Stately home Harewood House near Leeds is offering free entry to residents of Otley, the place of Chippendale’s birth. Harewood was the 18th century home of Edwin Lascelles, a significant Chippendale patron. The house will host a number of activities throughout the day. In London dealers Lennox Cato and Tomasso Brothers will unveil an exhibition by the Master Carvers' Association at Tomasso's London gallery in Jermyn Street to celebrate Chippendale's birth. The birthday celebrations will culminate with the annual dinner of The Chippendale Society. Held at Otley Golf Club, it will celebrate the 300th anniversary to the day of Chippendale’s baptism at Otley Parish Church. Guest of honour is Anthony Coleridge, the former head of Christie's South Kensington and a Chippendale scholar, who will present a talk on the famous cabinetmaker. Events will continue through the year led by Chippendale 300 a programme of non-selling exhibitions and events held across a range of historic houses, museums and craft organisations. A number of Chippendale themed selling events are also planned, including an auction at Christie’s on July 5 and dealer Ronald Phillips’ exhibition that begins on June 28. Also announced today is a study tour scheduled for September. 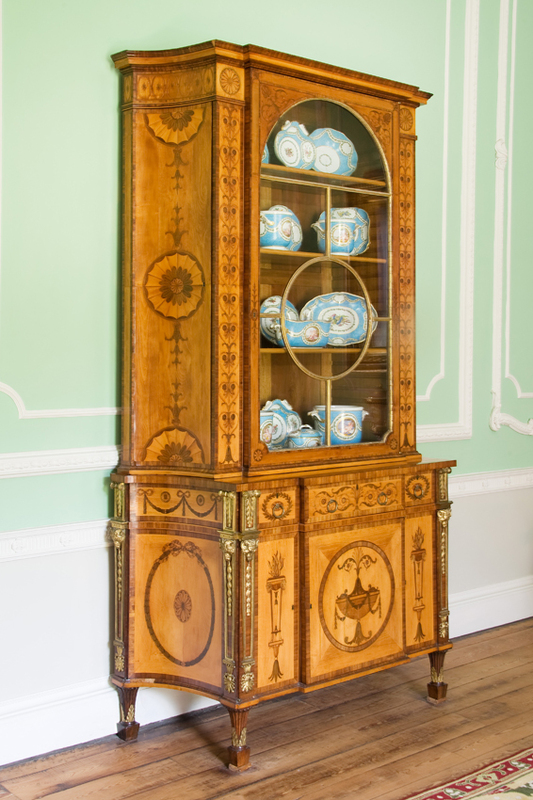 CICERONI Travel’s study day called 'And none shall compare: Thomas Chippendale’s Genius’ will take place on September 7 at Firle Place in East Sussex, home of the admired Panshanger Cabinets, made for the first Viscount Melbourne. 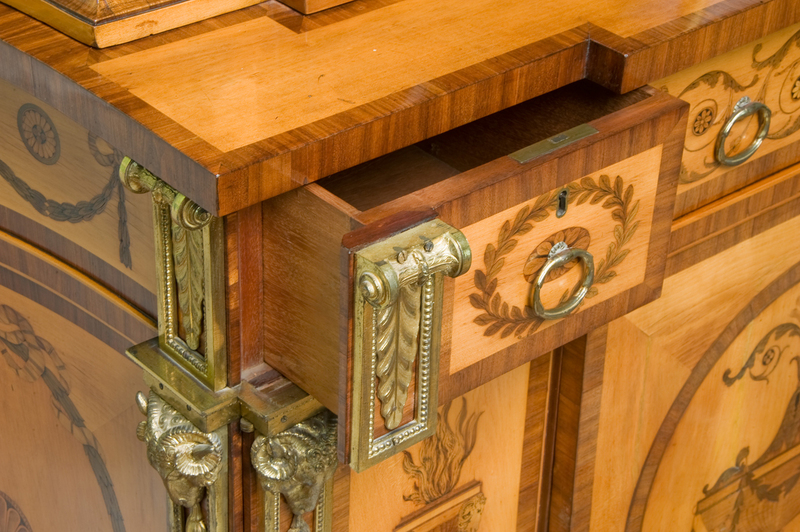 A detail of Thomas Chippendale’s Panshanger Cabinets, made for the first Viscount Melbourne, at Firle Place, Sussex. CICERONI Travel’s study day will take place on September 7 at Firle Place. Image: ©Firle Place, Sussex.